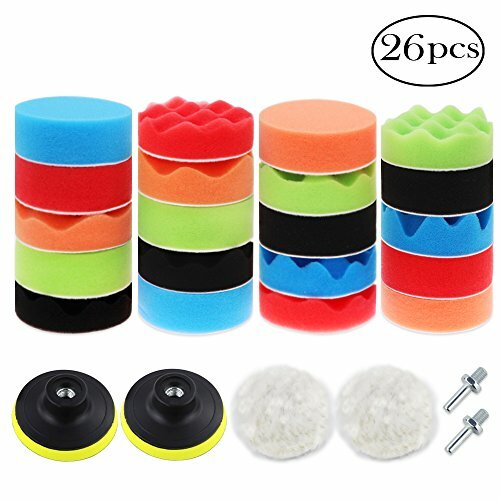 A set of 26 super-value polishing pads. High-quality woolen pads and sponge pads are durable, washable and reusable. 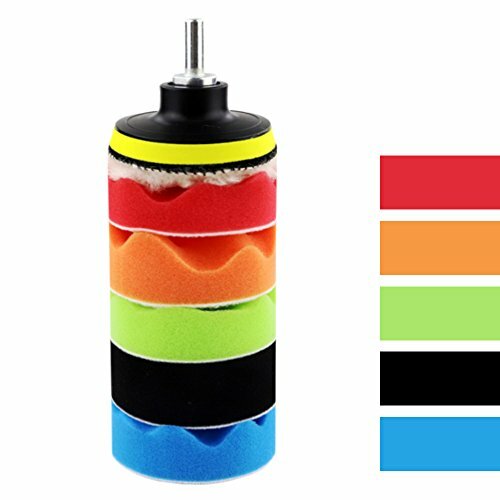 The sucker backing can be pasted and you can quickly change it in seconds. 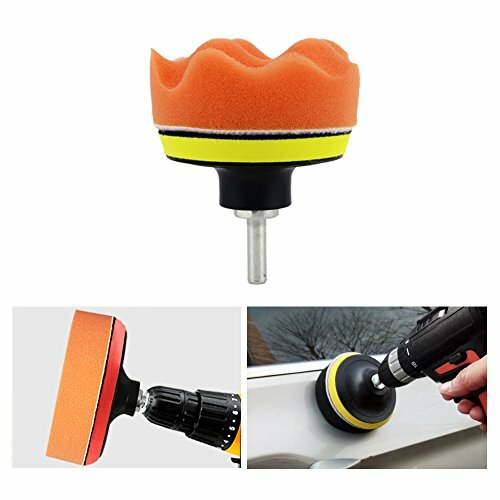 It can be used in pneumatic or electric polishers and is ideal for polishing automotive details. 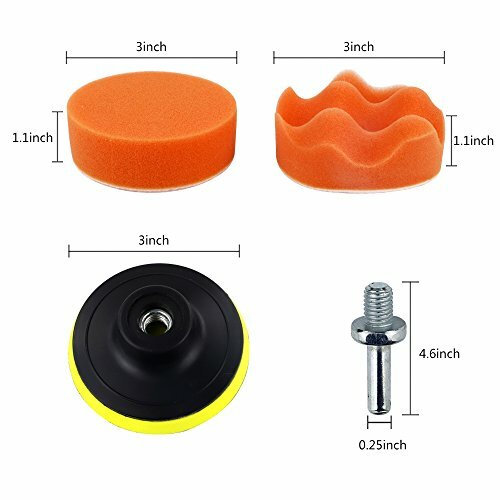 Package includes 20 sponge polishing pads, 2 woolen cushions, 2 drill adapters, and 2 suction cups. 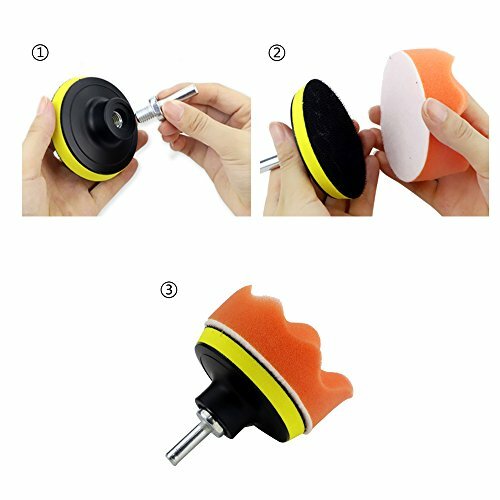 The sucker backing can be pasted and you can quickly change it in seconds. You can choose according to your needs, suitable for polishing wax on rough and small areas. 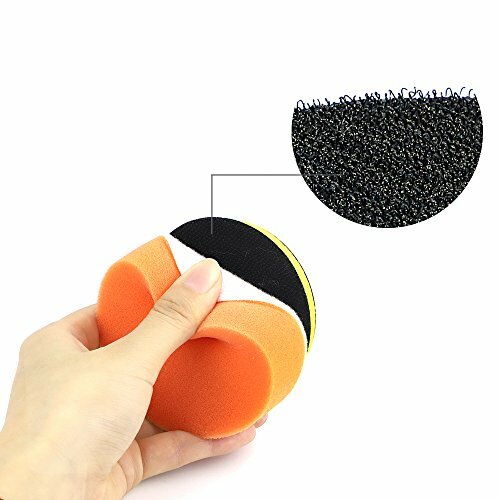 All sponge polishing pads should be cleaned and dried in the shade before use to ensure that there are no residual particles to achieve the best working results. 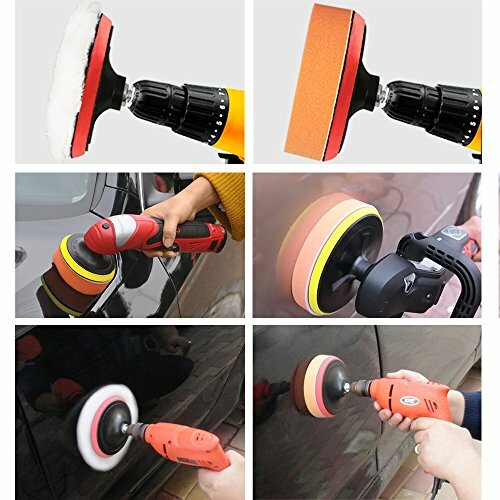 Suitable for waxing, polishing and sealing of various coatings, cleaning and improving their brightness, can be used for pneumatic or electric polishing machine, very suitable for automotive detail polishing.